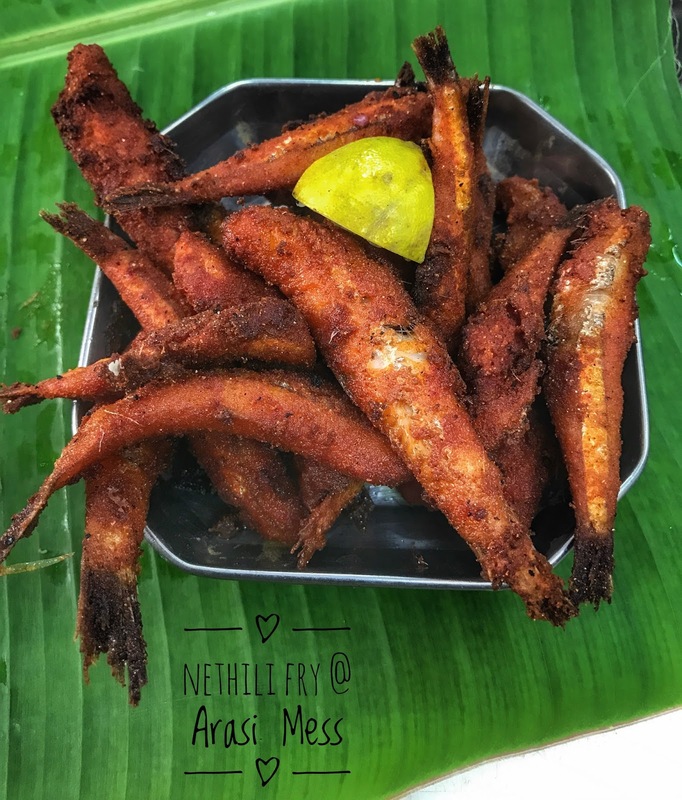 A simple, no frills, no fuss South Indian Non Vegetarian meal is what you get in Arasi Mess. This place was in our wishlist for a long time and couple of failed attempts later we were there for an early lunch on a weekday. Trust in Google Maps for the location. It's a very small place which can accommodate about 12-15 ppl at a time. They also have a family room kind of set up to dine in private. 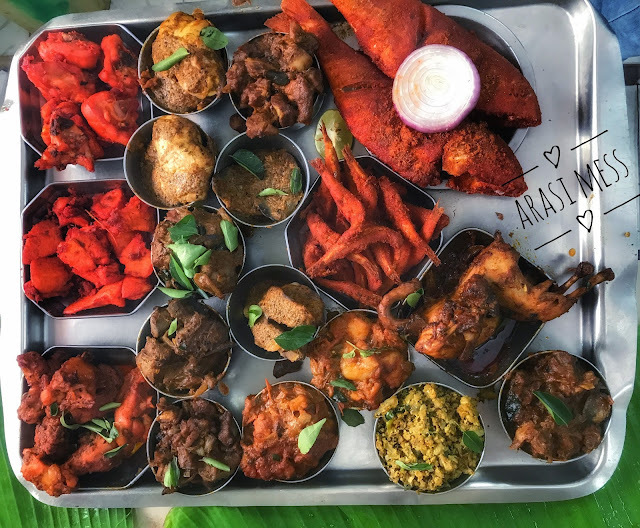 The most important thing I like about these kinda places is the array of dishes they bring to you to choose from. We settled with 2 meals (limited), prawns fry, nethili fry, kaadai roast and mutton chukka. 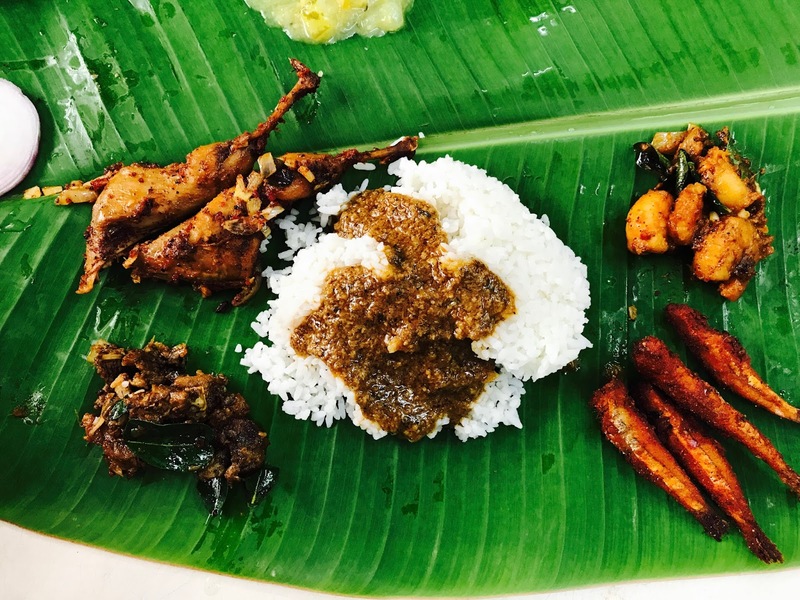 Meals comes with 2 veggies (a dry curry and kootu), 4 gravies (chicken thokku, naatu kozhi kuzhambu, mutton and fish gravy), rasam and curd. Priced at 50 bucks I would say this is a steal. 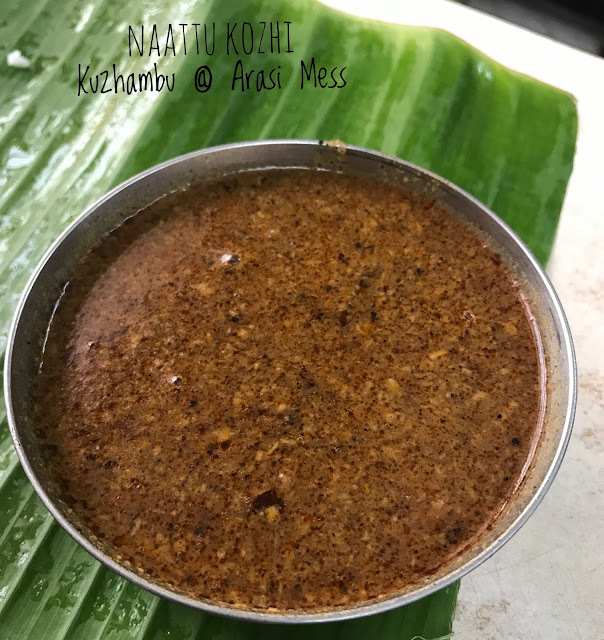 I loved the naatu kozhi (country chicken) kuzhambu with strong hint of freshly ground pepper. 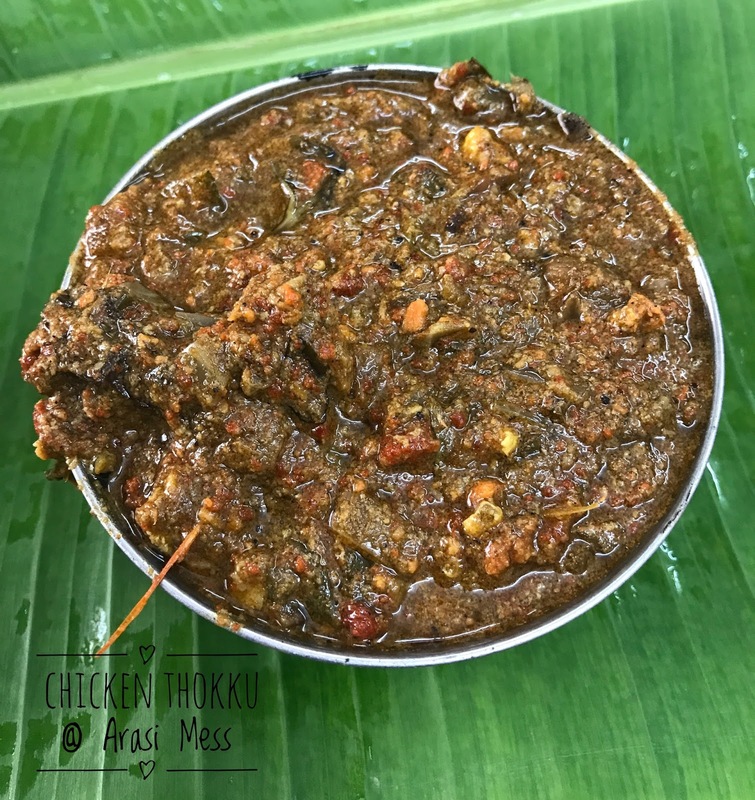 Chicken thokku was slightly on the raw side with the masalas. 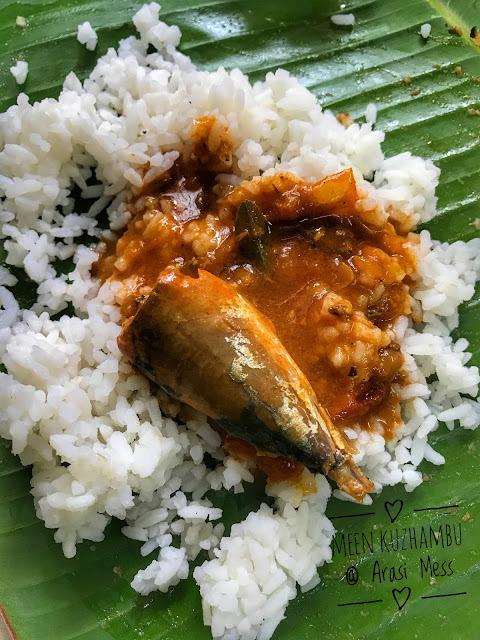 Fish curry was yummy. Typical home made style. 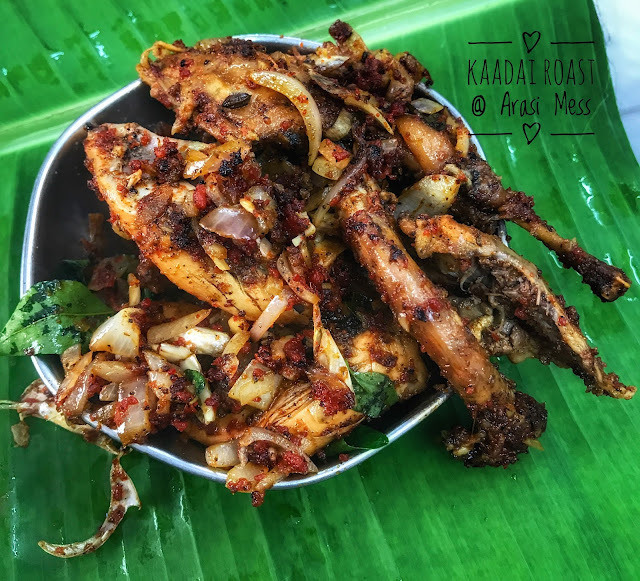 Out of all the sides we had, I loved the Kaadai roast. Tender meat with pounded masala was simply amazing. 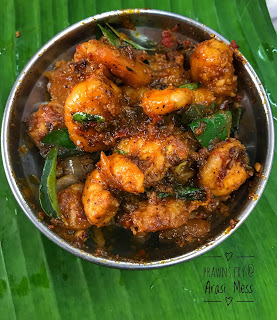 Prawns and nethili fry tasted fresh and yummy. 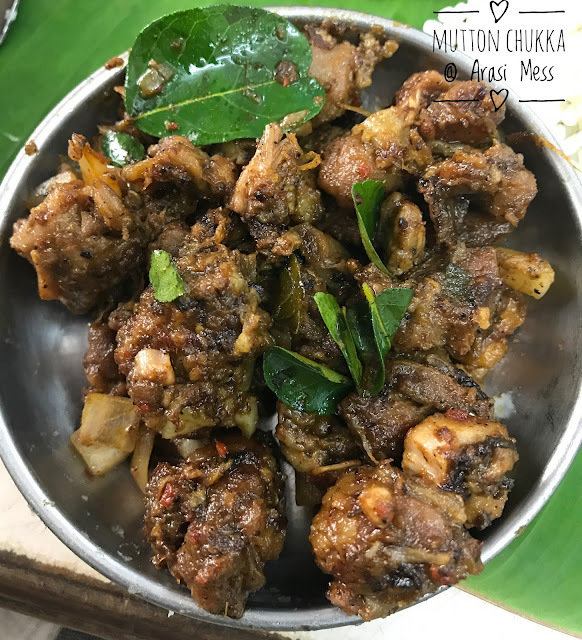 Mutton chukka was okayish. Rasam served with the meals was awesome.